The massive rescue operation has been going on for the past over 40 hours after the child fell into the borewell Wednesday evening. 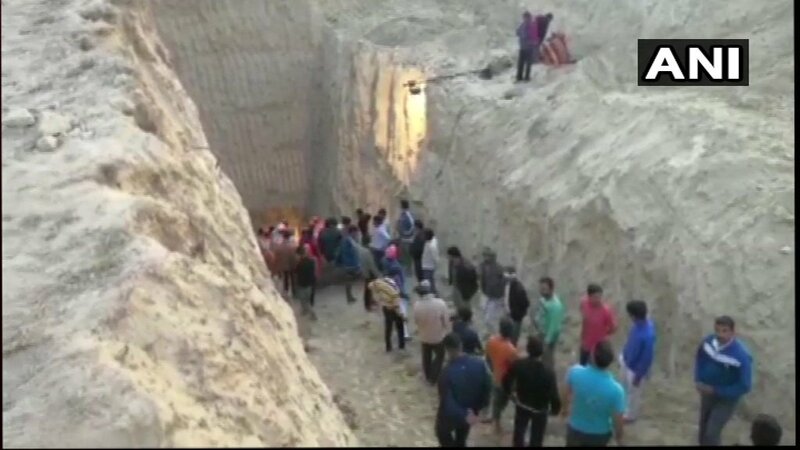 A team of NDRF and Army experts was being assisted in the rescue operation by civil and police authorities, officials here said. The child’s movements were being monitored using a night-vision camera which was dropped inside the borewell. The child’s father is a labourer. Earthmovers, drilling machines and other equipment have been pressed into service to rescue the child, even as oxygen tubes were dropped to help him breathe. Biscuits and juices are being supplied to the child.A medical team had also been deployed at the incident site.